I’m ready to get back on the blogging wagon, so here I am! This is so hard for me because the thought of sitting behind my computer even more just might make me crazy! I’ll give it my best effort and see what happens! 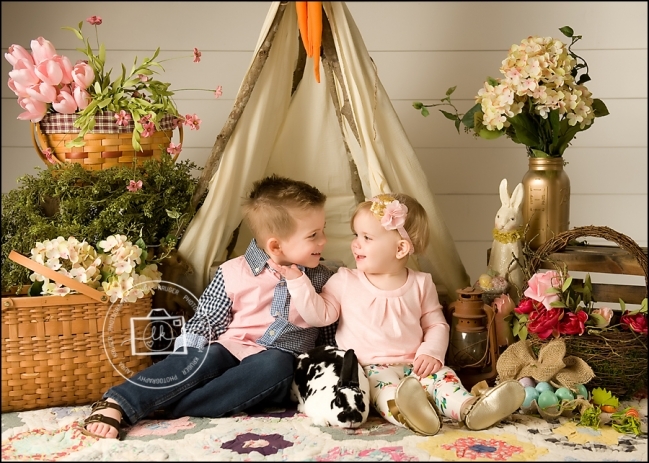 Right before Spring Break I had my annual Easter Mini Sessions! These sessions are so much fun! I love seeing old and new families at these. These two siblings had my heart. She reached up and grabbed his sweet little face all on her own. I’m pretty sure everyone in the room melted! I love being able to capture these natural moments! 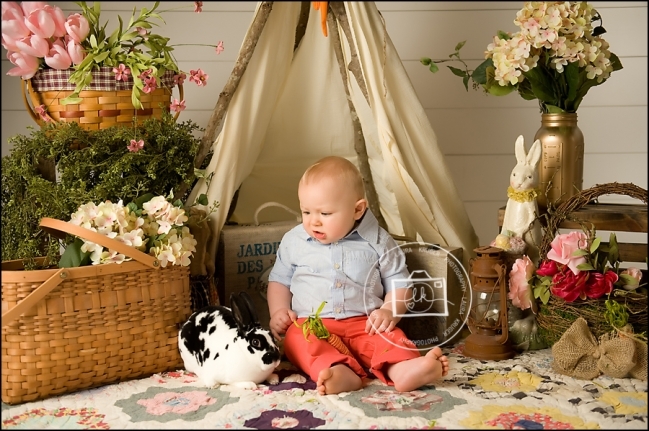 This little future football star wasn’t sure what to think of the soft little bunny sitting right beside him! Brothers!! Their Mama always has them dressed so perfectly! 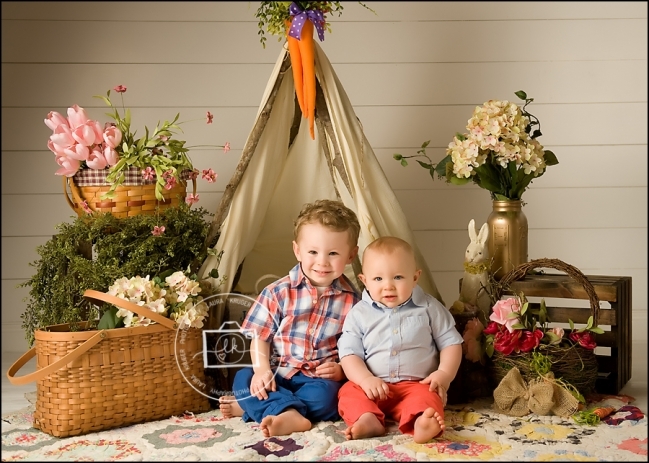 The whole reason I do these sessions is so I can capture my own babies. I dragged them out for pictures. Poor Mason, the one on the far right had Influenza at the time. All three are on Tamiflu and he made a quick turn around, just in time for vacation! How stinking cute his her outfit!? This is another family I adore! There Mama is the sweetest, as are these brothers!